With 15 years experience of working in the shutter industry, and working with some of the best manufacturers in the business, you can be assured that you’re in safe hands. We’re here to advise on all your options and our service includes a professional measure and expert fitting - all you have to do is choose your perfect look! 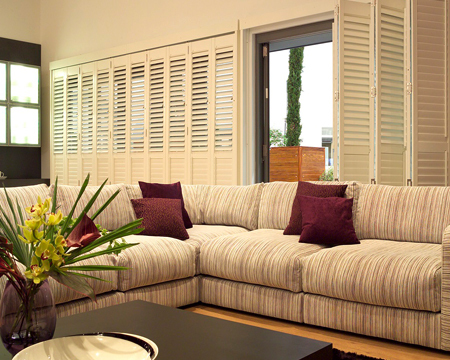 We are proud to offer the widest range of made to measure shutters in North Manchester — from cafe styles to tier-on-tier, full height to solid panels, custom painted to bay window and more. 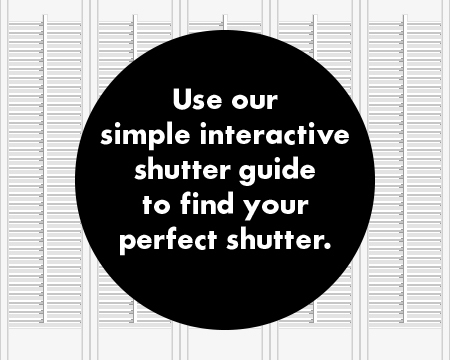 We have created an interactive shutters guide to help you find your perfect shutter style. 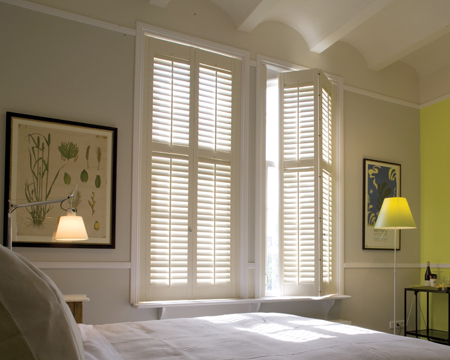 Just follow the simple steps and we’ll work with you and your budget to make the perfect shutters for your home. 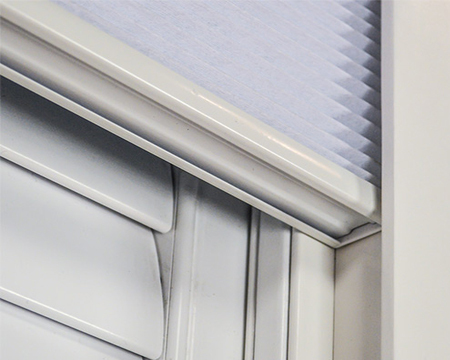 Available with the full height shutter options, an integral blackout blind can offer incredibly high levels of blackout to a room – ideal for children or people who work shifts. 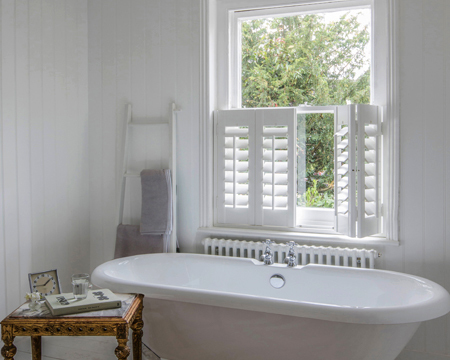 This style of shutter is recognisable for elegantly covering the lower section of your window whilst leaving the upper section exposed – ideal for living areas when privacy, as well as maximum room brightness, is the desired effect. Our bestseller! 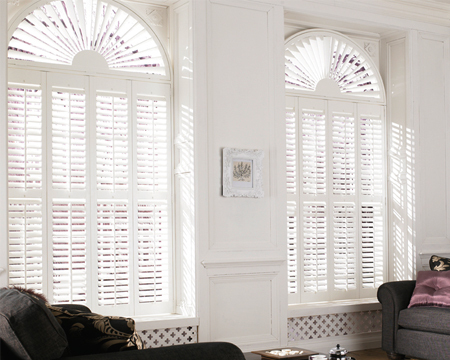 Shutters are a beautiful and stylish window treatment so why not maximise the effect by covering the whole window. 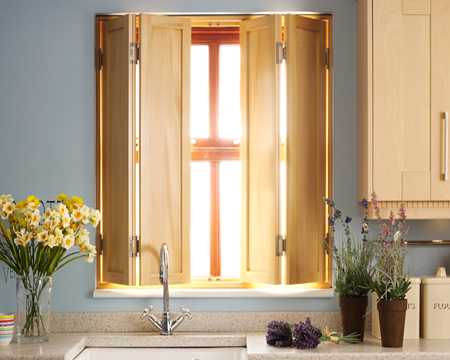 This is the most versatile shutter option and is suitable for most windows. Shutters fitted to shaped openings can transform the look of the window whilst still offering a high level of light and privacy control. 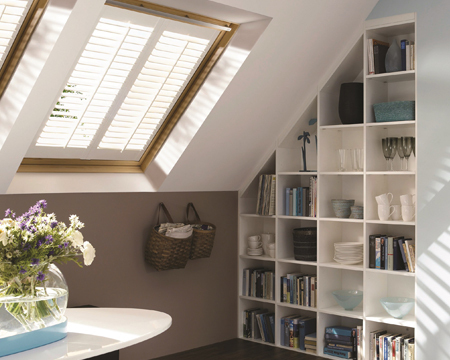 Whether it is a Velux roof window or a loft conversion, it may be possible to cover the glazed area with a shutter – we will be happy to advise you on your options. Offering a more traditional finish to your windows, solid panels block out the light when closed and provide excellent insulation from outside noise. They are particularly suited to period properties. 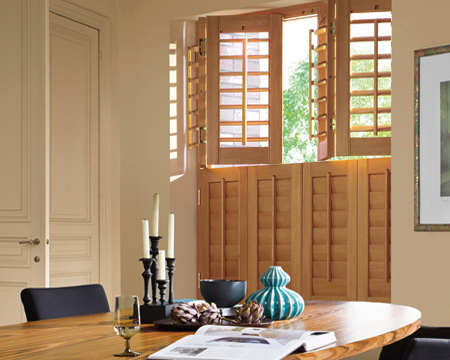 Reminiscent in appearance to a full height shutter with an integral midrail, the tier on tier style allows the top section of shutters to be folded independently to the lower section. 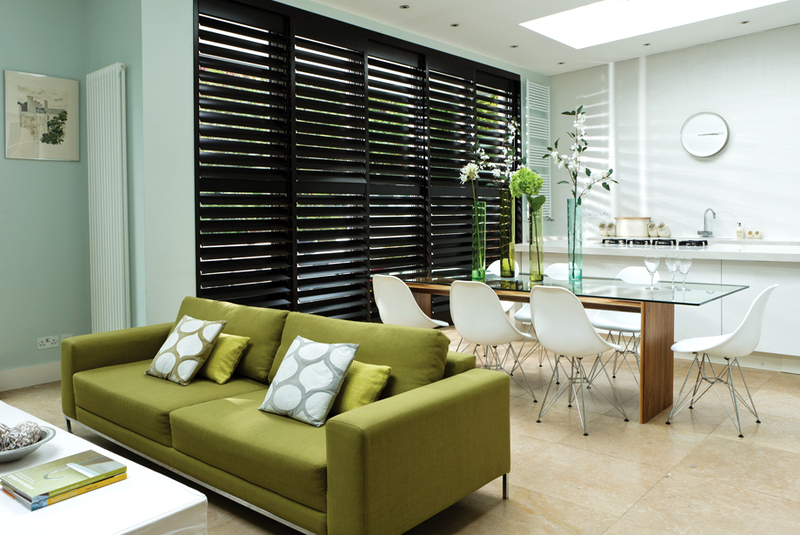 The solidity of installing shutters on a track system allows coverage of wider spaces or can even be used as a room divider.